U.N. sanctions on North Korea, imposed after it tested a nuclear device in 2006, have produced no impact, largely because China has failed to implement the measures and has increased exports of banned luxury goods to the North, according to a new report. The resolution passed relatively quickly by U.N. standards Oct. 14, 2006, five days after Pyongyang’s underground test, under Chapter 7 of the U.N. charter, which means that it relates to a threat to international peace and security and is supposed to be mandatory on all U.N. members. Besides luxury goods, weapons exports also were banned. China’s President Hu Jintao delivers his speech to mark the 30th anniversary of China’s reform held at the Great Hall of the People in Beijing, China, Thursday, Dec. 18, 2008. Implementation of the sanctions, however, was left up to individual countries. In a letter to the council a year ago, Marcello Spatafora, chairman of the U.N. sanctions committee, said 71 countries and the European Union had submitted reports on the penalties they had imposed. China’s report was said to be lacking in detail and Beijing requested that it not be published, Mr. Noland said. Using trade statistics reported by China, Mr. Noland concluded that its exports of luxury goods increased from under $50 million in 2006 to as much as $120 million in 2007. The Chinese Embassy in Washington did not respond to questions seeking comment on Mr. Noland’s report. State Department officials said they had not seen the report but indicated that they would not pursue the issue. Six-nation nuclear negotiations broke down last week after the North refused to commit in writing to procedures to verify a declaration of its nuclear history it submitted in June. 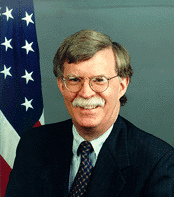 Mr. Noland worked on President Clinton’s Council of Economic Advisers at the White House in 1993-94. The Peterson Institute is a nonpartisan research organization. Analysts were intrigued by Mr. Noland’s report but expressed little surprise at his findings. A ban on such goods is “an inconvenience for the regime,” but it cannot be expected to affect North Korea’s economy, Mr. Pritchard added. North Korean leader Kim Jong-il is known for his fondness for French cognac and fine wines. 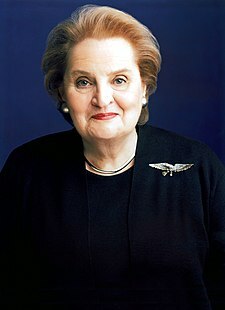 You are currently browsing the archives for the Madeleine K. Albright category.